Eight San Pedro High School (SPHS) students left for Guatemala on Monday, September 1st to represent Belize in the 28th Centroamericano de Deportes y Recreacion (CODICADER) Games. The games run from Monday, September 1st to Wednesday, September 10th, and are organized by CODICADER in collaboration with Central American Integration System (SICA) to promote sports amongst youth. Youth athletes from Panama, Honduras, Costa Rica, Nicaragua, Guatemala, El Salvador and Belize are competing in 16 sport disciplines. 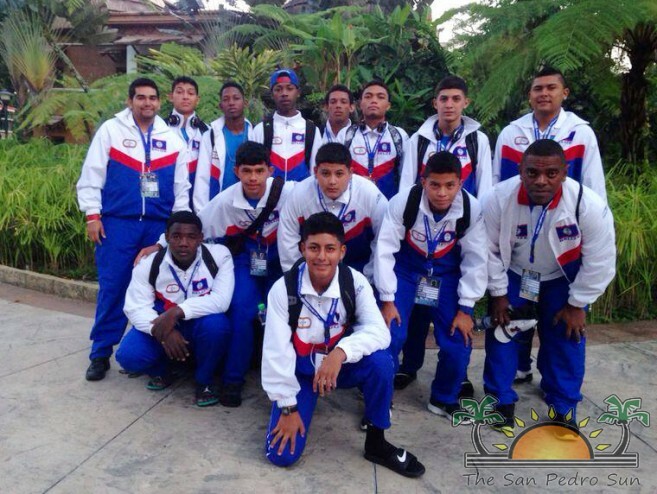 The SPHS volleyball team comprises of Gabriel Nuñez, Guillermo Nuñez, Afri Black, Shemar Broaster, Francisco Pineda, Jovi Ico and Giomar Marin, and SPHS triathlete Kian Ancona are among Belize’s delegation of 89 athletes participating in the games. Representatives include the champion school teams of the National Secondary Schools Sports Association (NSSSA) in football, volleyball, basketball and softball, as well as individual NSSSA champions in track and field, chess and karate. All participants must be 17 years of age or younger. Traveling along with the SPHS students is volleyball team coach Erick Santizo, who is confident that the boys will perform well. “We first would like to thank our sponsors Canary Cove and Gaby's Construction. For the past few months these boys have been working hard and are anxious and hungry to experience what it takes to play at a high level tournament. They are not representing just San Pedro High School and our Isla Bonita, but the entire country of Belize. Let's be positive and show our support, as we are in a developmental stage to go out to do our very best,” said a proud Santizo. SPHS played their first game on Wednesday, September 3rd against Nicaragua, which ended in a defeat (Set 1: 25-23 set2: 25-19 set3: 25:23). Followed by a match against Costa Rica on Thursday, September 4th. On Friday, September 5th the boys will take on Honduras and then Panama on Saturday, September 6th. They will complete against Guatemala on Sunday, September 7th and compete against El Salvador on their final match on Monday, September 8th. Points earned in the six game will be tallied to determine the Gold, Silver and Bronze Medalists. Triathlon competitions were hosted on Tuesday, September 2nd through Thursday, September 4th. Kian participated in the individual male category. To get full schedule of the games and to keep up with results www.activate.com.gt/codicader or follow them on Face Book: www.facebook.com/Activatedigef. 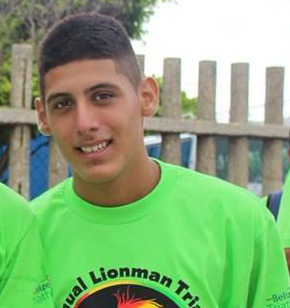 The San Pedro Sun wishes the best of luck to all our Belizean participants at the CODICADER Games!